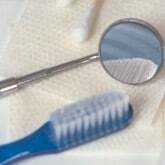 DentalPlans.com offers you an easy, convenient way to save money on General Dentistry and more at a Toms River dentist. Just enter your ZIP code to review the leading discount dental plans and participating dentists available in Toms River, NJ. Choose the discount dental plan that is best for you and save 10% to 60% on your dental care bills at dentists such as Dr. Dominic Pisano. Then, you can make an appointment with Dr. Dominic Pisano in Toms River to get discounts on General Dentistry and more. Discount dental plans are alternatives to dental insurance plans that offer great discounts on General Dentistry and other dental care treatments. By searching our large dentist directory, you can find a wide range of general dentists, oral surgeons, endodontists, and more! So if you want discounts on oral exams, cosmetic teeth whitening, braces (orthodontics), root canals, crowns and more, our qualified Toms River dentists or dental care specialists can help address your dental care needs.